Novel flower structure in which petals are fused to form an upward-facing cup. White and various shades of pink. Fun for bouquets or eye catching at the back of the border. 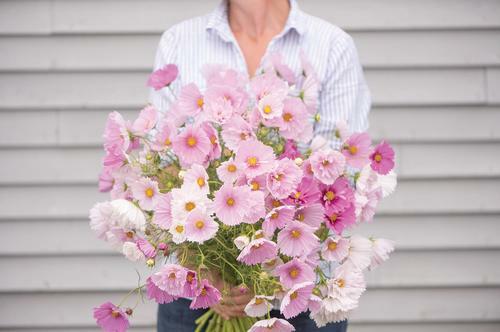 A charming cottage garden or cut flower variety.